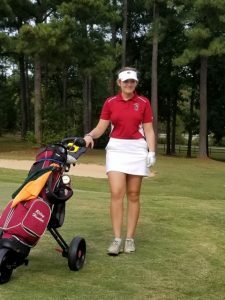 The Lady Panthers traveled to Mid Carolina Club in Prosperity, SC to compete in the Girls Golf AAAAA State Championship against 15 other teams. The Panthers finished 13th this year amidst a strong field on a tough golf course with a 5453 yard par 73 setup. 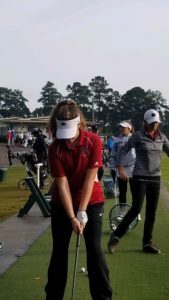 Panther eighth grader Mia Gray posted a 6 over par total for the two day event, shooting 80-72 and capturing All State honors for a T6 finish. Teammates Alayna Fortenberry shot 91-83, Victoria Callahan 90-91, Riley Hunter 130-32, and Brooke 132-137.